Where travel and design adventure together. Ready, set, go. 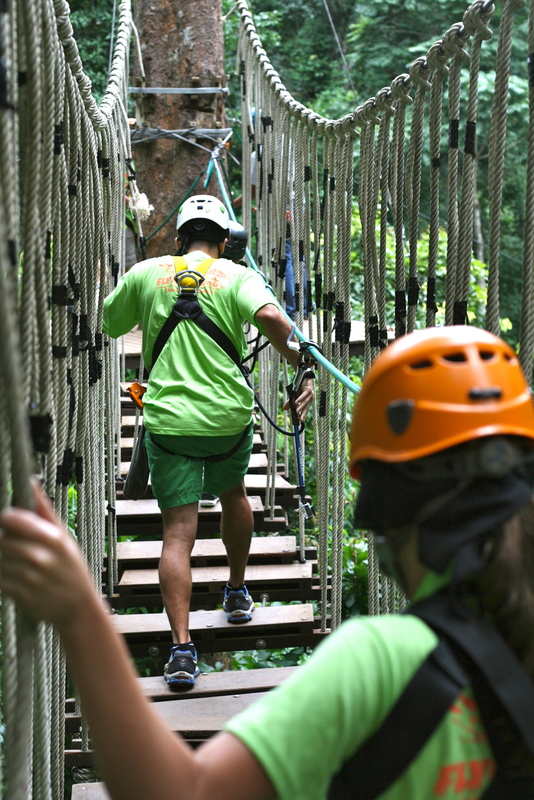 Get yourself all mosquito and sun screened up and head on into the jungle to do some adventure trekking in Chiang Mai. These are seriously no brainer day trips. It’s as easy as 1,2,3…. 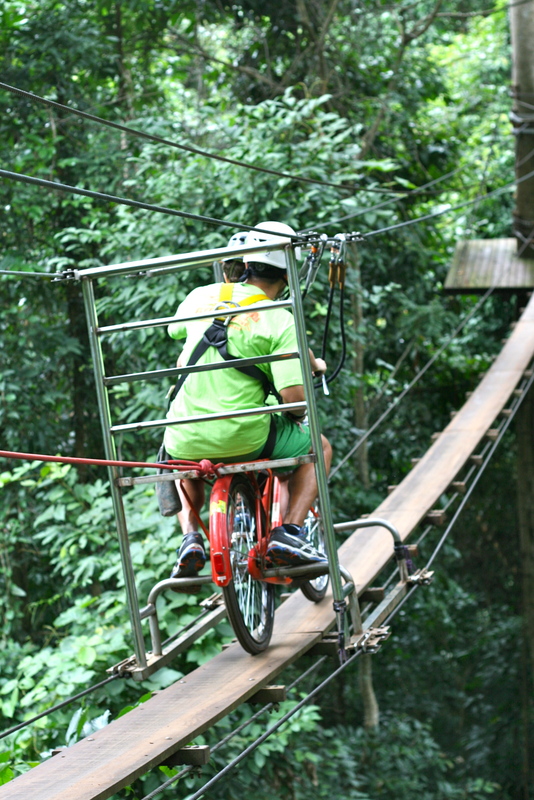 You book ahead, get picked up at your place of lodging and the company takes you to the activity location. You play for the day, have lunch there and they drive you back. It’s that simple and tons of fun. As with all tours, be sure to book in advance as even in the off season the fill up rather fast and trust me you want to get in with the best companies. Zip-lining and Jungle ATV riding were how we spent 2 days in Chiang Mai and they were days that would have made Tarzan jealous. They were that fantastic. I’ll just let the photos do most the talking. Wheeeeeeeee. 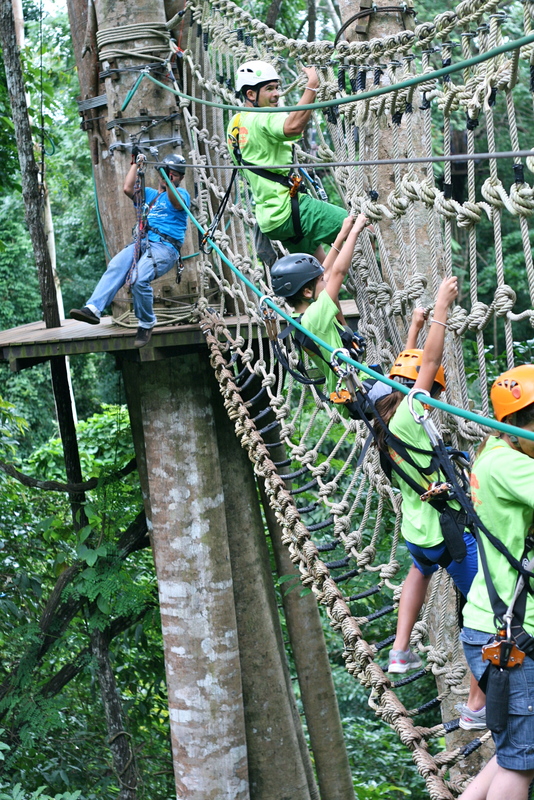 Sending your children flying across a jungle is really enough to make your heart drop. Right?!? The apple does not fall from the tree though and they are fearless just like us. It’s a wonder to observe. We were zip lining in the treetops for hours and the four of us couldn’t get enough. 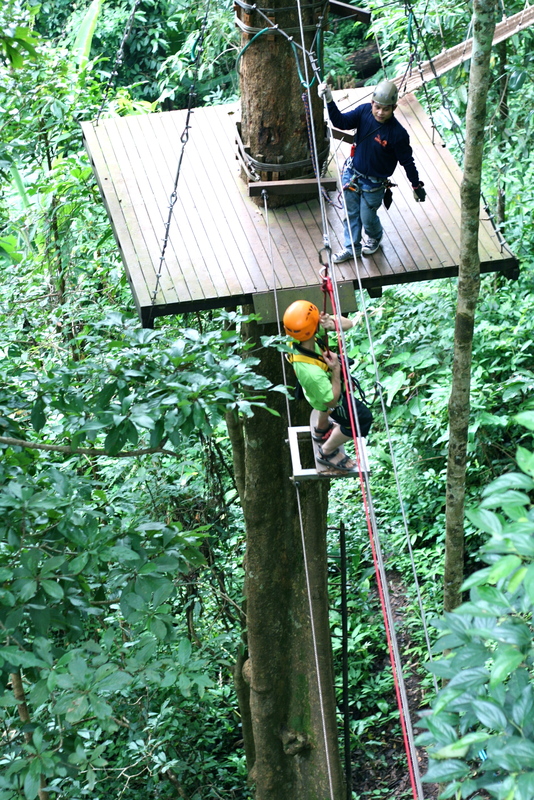 Flying Squirrels offers non-stop zipline variety, but our favorites were the 400m and 600m long lines. 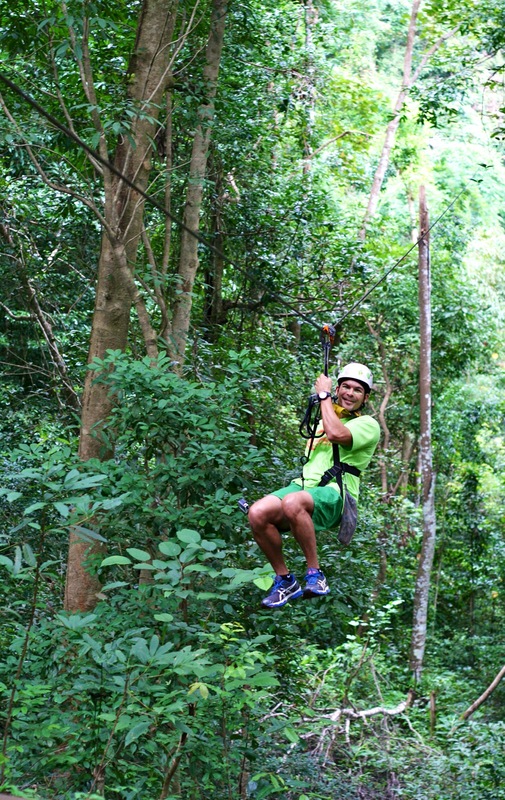 Wowza, whizzing through the air through all that greenery was such a rush. They also offered some novelty zips on a bicycle and skateboard which the kids loved. Our guides put safety first and were hilarious. Totally worth spending the day and money on this heart pumping treat. Next we were off to get muddy and dangerous…. Not all vacations are perfect and dang I have to be honest for a second here. From the time the van picked us up to the time we entered the trails, I was shaking my head in frustration with the company we chose for this trip. Yikes, I’ll spare you the details, but once we got going on the trek, life was great. 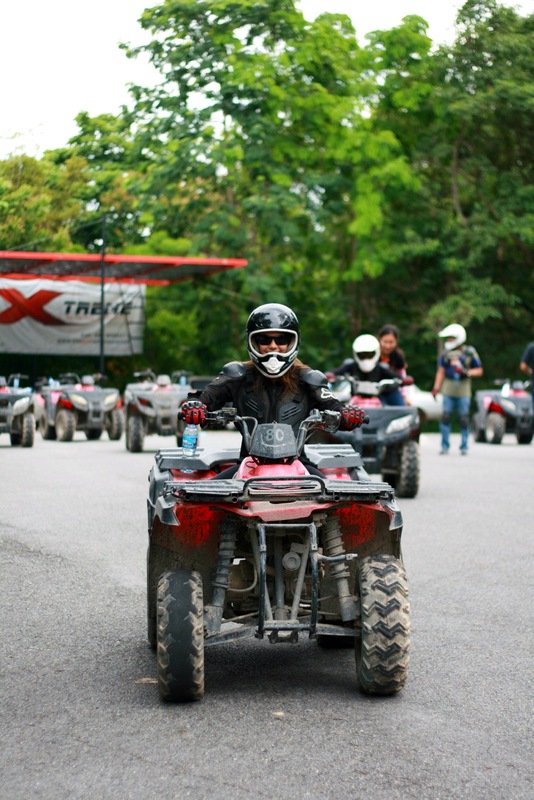 My frustrations went right into that throttle and we roamed and got crazy in the jungle. If you can picture a mama kangaroo with her joey riding an ATV through the country in Chiang Mai, that was me! It was monsoon season in Thailand during our stay and this was the only day it rained while in Chiang Mai. The 10′ tall green grass swat us as we sped through the trails now drenched with the days downpour. Mud splattered up from the bike flaps of all the surrounding drivers and it was magical. Life is full of adventures. Go seek yours, grab it by the hand and don’t let go. Enter your email address to subscribe to our store for updates and store news, promotions and events! Subscribe to receive notifications of shop events, new products, sales, and all the excitement!